Joan was born in Station House at Laindon Station in May 1930. Her father was the Station Master. Before making the big time she had appeared locally for the ‘Glee Club’, Laindon Operatic Society (now BasOp. ), Langdon Players and the local Youth Centre Club. Joan never married; although she did get a proposal from Kenneth Williams…he said…’We will be the talk of the town’. 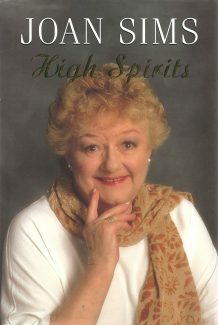 Her autobiography ‘High Spirits’ was published in 2000 and a year later she died at the age of 71. On the 75th anniversary of her birth a plaque was placed on the Station House Wall. Back in 2001, I was a Ticket Inspector on the railway where I met and got to know two actors being father and son Norman and Christopher Mitchell who lived near where I do. Norman played in a number of films, while Christopher played Pte. Perkin in BBC’s “It ain’t half hot mum”. Norman who knew Joan, so very kindly obtained an address where I could write to Joan, which I did, but sadly I never got a reply as Joan was from what I later learnt, seriously ill and passed away just two weeks after I wrote to her. I had Joan’s book given me years ago, read it from cover to cover and will never let it go, for any reason. Hello. My name is Irene and I have the privilege of taking on the tenancy of Joan Sims childhood home, local people are very proud of Joan and it gives me great pleasure to be able to open the door to the public. With the cooperation of her estate, family and closest friends, I am currently writing a biography of the late Joan Sims. I would be happy to hear from any fans/colleagues/friends who feel they could help with the project and can be contacted through the editor. Many thanks, Andrew Ross Author: Carry On Actors – The Complete Who’s Who of the Carry On film series. Hi. 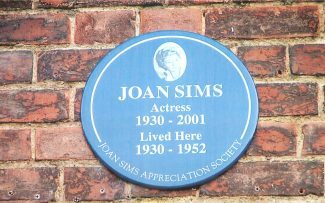 Joan Sims was my first cousin. My mother was her Dada’s sister. I remember visiting when we were young but lost touch by the time we were teens. I am 84 years old and live in Canada. Hi Janet, I have just read your comments about your mum and the Winston club. I can remember many happy times in the Winston when all the family got together. I now live in Durham although still visit Laindon occasionally. I have not seen the family for some time, the last time was when my dad passed away. I correspond at times with Brenda. I have enjoyed seeing the old photos of Laindon, they have brought back many happy memories of the old Laindon and childhood. Is the Winston club still open? I think it was 10 years or more since I was there, I think Uncle Harry might still be on the door. Hello Jan. Yes indeed your mum did have a good voice, we spent many a good night in the Winston Club. Our two families, my Mum and nan and your mum and nan “old ” Kit and young Kitty James lived next door to my nan Daisy and nan Violet, they spent the war years supporting each other, your sister Linda and I were friends. Once I was asked to look after you by your mum, I can’t think why but I know I got two three-penny pieces for it. My brother’s name was Fred Sewell and we remained friends when our parents moved to the King Edward estate. We all walked many times along “The cinder path” to visit our nannies, many times together, crossing the little stone bridge and waiting for the beautiful steam trains to go under and wandering along to Mrs Lungleys for our sweets. I wonder if you remember my nans old dog Spot the Labrador, he seemed to be there all my childhood when visiting Beatrice Rd, I also visited your nan when she later moved to Archer Road after our lovely bungalows were bulldozed by Basildon Council. I have just recently got in touch with your cousin Pat Jerome (Bartley) after 50+ years and would love to hear from Linda again if you could arrange it. A little extra: When I got married in 1961 your nan gave me my first dining room suite which she no longer needed. I have also written some comments which I will put on soon about those early days for you to read on the Winston Club page. 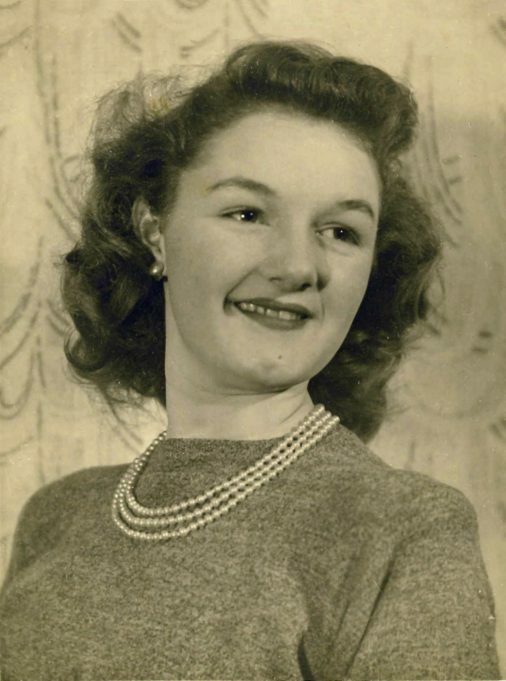 It was really wonderful reading the comments of my mum Kitty James – yes she had a wonderful singing voice and was well known for it, she used to tell me about Joan Sims who she was good friends with. Whenever we went on holiday she would always be called up to sing. I remember her singing on the stage at The Winston Club when my Nan & Grandad Ted & Rose had it. Happy Memories! Dolly who married Fred James my mums brother is in a nursing home in Basildon. I am glad to see that the plaque is now on show. I did ask at the station when we were down for a family funeral some years ago, but I must admit that I didn’t ask last time I was down. Hallo Gloria, your latest memo in respect of Kitty James would mean that you know of another popular local entertainer, the blind pianist Jimmy Marshall. The sister of Jimmy was Dolly who married Fred James, Kitty’s brother. On the subject of local entertainment, I recall that your mother danced at the St.Nicholas Church Hall. The prewar resident band was that of Bunny Briggs a jazz violinist, which I found strange, as a church warden Cyril Lammin also had a band but played at the Basildon Country club and would have to be first choice. Cyril did however present concerts at the Church Hall which sometimes featured a very young girl singer named Elsie Poulten who strangely enough for a girl sang Al Jolson numbers. Laindon may have been a deprived area but many choise to offer entertainment. Regarding the wording alongside the plaque. I think this was meant to read “On what would have been her 75th birthday”. Editor: Thanks Nina I will be making further alterations as the photograph of the plaque lacks context and I intend to take a photograph of the station showing the plaque to add to the article. A small comment in respect of the main article . The plaque shows her life 1930 to 2001 yet remarks that it was placed on her 75th birthday which never took place and should have been the date of her birth. 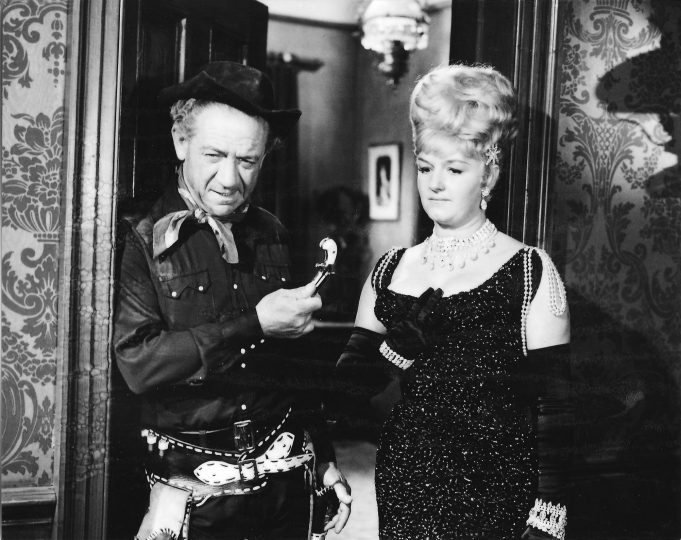 Hello William although I don’t recall knowing Joan Sims personaly I do in deed remember Kitty James. Her mother and my grandmother were great friends and Kitty was my mothers best friend. She and her family lived next door to my family in Betrice Road. She later went on to marry Ted Burton and thier daughter Linda Burton and I became good friends when they lived in Devonshire Rd and we lived in King Edward Rd. Kitty and Ted later owned The Winston Club and I recall Kitty always haveing a good singing voice. Her and my father Nobby Sewell often sung in the club what a small world it is William. The entry gives details of her work with local amateur groups some of which I witnessed. There was one performance that was omitted and that was a talent contest at the Radion cinema where she sang ‘ Oh what a beautiful morning’ from the show Oklaloma. She did not win as voting was by applause and another girl Kitty James has very strong support in the audience. Jobson Family - Laindon & District Operatic Society.